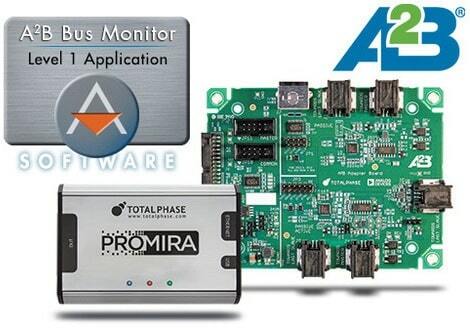 Total Phase announced A²B Bus Monitor solution. The A²B Bus Monitor provides access to the A²B system. By attaching the A²B Adapter Board in-line between nodes, the A²B monitor can non-intrusively sniff A²B data in real time. A²B superframes are decoded into I2C control data for easy debugging with Interrupts and GPIO handshakes correlated into the data capture, while an I2S/TDM audio data analysis is available in a visual and audio formats. Today’s drivers don’t only want a sleek car with sporty handling. Drivers want style, better gas mileage and an infotainment center comparable to the best theaters. Analog Devices, Inc. has developed Automotive Audio Bus (A2B) digital audio bus technology specifically to deliver high fidelity audio in automobiles while significantly reducing the weight of existing cable harnesses (by upwards of 75% in key applications) – resulting in improved vehicle fuel efficiency and audio capabilities. NXP’s has launched the MCUXpresso Integrated Development Environment for LPC and Kinetis microcontrollers with PEmicro’s GDB Server fully integrated. 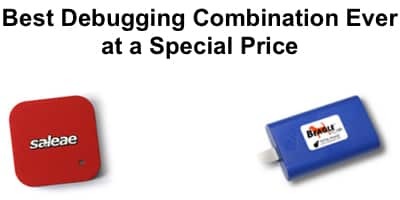 Pertech is pleased to offer the best combination for debugging SPI/I2C interfaces. 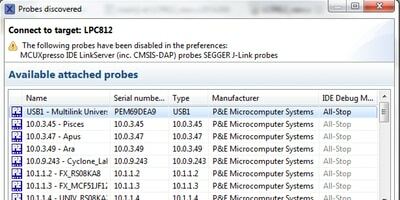 With Saleae Logic you can easily debug physical layer related problems, both analog and digital, while Total Phase Beagle analyzer provides bus monitoring solution. Purchase the two and receive a special price.